The catching position is the most demanding position in baseball. It is both mentally and physically challenging. It's also one of the most important positions in baseball. A good catcher can shut down a running game. A good catcher can make pitchers better. Yet coaches rarely teach the proper mechanics of catching. 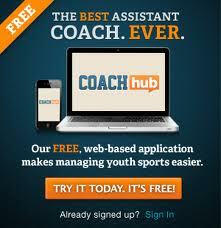 Quite frankly, most little league coaches don't have a clue on how to coach the position. My son works with a hitting coach, Coach K, twice a month during the winter. Coach K, a former catcher in the Expos farm system, is a very successful high school coach. Throughout Coach K's tenure as HS coach, all of his starting catchers have earned all-city honors. So I can say with confidence that Coach K knows how to coach the proper mechanics for receiving, framing, blocking, throwing and fielding the catching position. When my son made his select team he found himself in the outfield. On his previous team he typically played SS or 3B. He wanted desparatly to be closer to the action. He asked for my advice. I told my son that he needed to pick the position that he wanted to play and work harder than anyone else on the team. He thought about for a few days. He surprised me when he said that he wanted to be a catcher. You cannot get any closer to the action than catcher. His team had two outstanding catchers who played 90% of the innings and one backup who played 10%. One of the primary catchers was the coach's son. My son worked with Coach K every other week all winter in hopes of winning at least the backup role. I tried to prepared him that he may work hard all winter and still not get a shot. My son was a quick study and learned the proper mechanics that winter. My son was given a chance in the preseason to prove himself. When the season started, my son was the backup catcher. By the end of the season, he earned the primary catcher position and became the captain of the team.